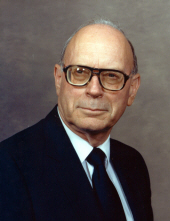 Eric Delton Campbell, 92, passed away Friday at Arkansas Methodist Medical Center in Paragould. He was the son of the late U.S. and Belle Walker Campbell. Eric was a farmer and also retired from Emerson Electric. His hobbies included gardening and working outdoors in his yard. He was a member of Grace United General Baptist Church for many years. He is also preceded in death by his first wife, the love of his life and mother to his children, Lavada Campbell; his second wife, Ann, whom he married late in life; an infant daughter, Vada May Campbell; sister, Lorene Morris; and brothers, Curtis and Amos Campbell. Survivors include daughters, Lynn Tennison (Randal), of Dexter, Missouri and Jackie Williams (Frank), of Beech Grove; grandchildren, Caroline Jones (Jamie), Jona Sadler (Adam), Jimmy Williams (Holly), and John Williams (Lakyn); and six great grandchildren. Visitation will be Tuesday from 10:00-11:00 am at Heath Funeral Home. Funeral service will begin at 11:00 am with Rev. Jamie Jones officiating. Burial will follow at Greene County Memorial Gardens. To send flowers or a remembrance gift to the family of Eric Delton Campbell, please visit our Tribute Store. "Email Address" would like to share the life celebration of Eric Delton Campbell. Click on the "link" to go to share a favorite memory or leave a condolence message for the family.